Ships tomorrow if you order in the next 19 hours 41 minutes. There is a way to reduce the appearance of discolored skin so you can look like the beautiful person you truly are. And you don't have to use harsh chemical bleaches! 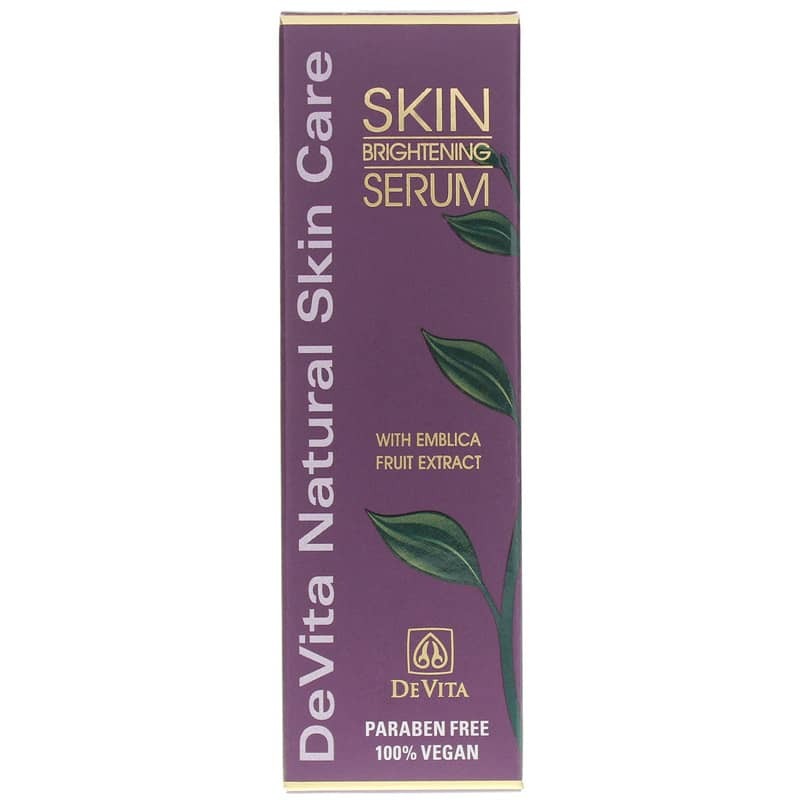 DeVita Skin Brightening Serum is free of parabens, bleaches or any other potential toxins. 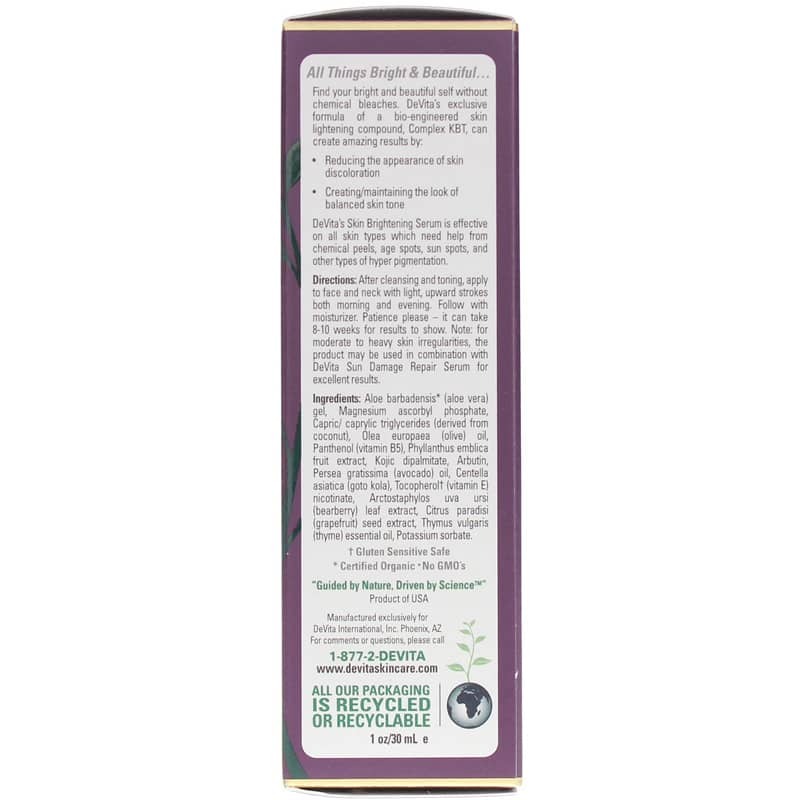 It is a 100% vegan, all-natural skin lightener that has demonstrated an ability give the look of balanced skin tone. This serum is ideal for all skin types. It is formulated to work on age spots, sun spots, damage from chemical peels and other types of hyperpigmentation. DeVita has its own formula for a bio-engineered skin lightening compound called Complex KBT. It features Kojic Acid and Arbutin, which work together to break up discoloration. You'll also find an extract of Emblica Fruit, which can lighten skin. Choose a natural way to get your skin looking the way you want. Order Skin Brightening Serum from DeVita! After cleansing and toning, apply to face and neck with light, upward strokes both morning and evening. Follow with moisturizer. Patience please - it can take 8-10 weeks for results to show. Note: For moderate to heavy skin irregularities, this product may be used in combination with Devita Sun Damage Repair Serum for excellent results.